Cleveland, OH (May 22, 2018) – Hanna Commercial is working with five private owners who are offering up their estates at auction on Wednesday, June 20, 2018 at 11:00 a.m. It will be Northeast Ohio’s premier luxury real estate auction event in a market where upscale homes are in high demand. This is the chance for home buyers to acquire high-quality real estate at significant price reductions, well below replacement costs and at an affordable interest rate. Closings will occur on July 25, with extensions available until August. 5,800 square feet, 5 bedrooms, 6 full and 2 half baths on 9.5 acres. Originally priced at $1,450,000, offered with a published reserve price of $675,000. 10,000 square feet, 5 bedrooms, 8 full and 2 half baths on 8+ acres. Originally priced at $2,575,000, bidding to commence at $875,000. 5,700 square feet, 4 bedrooms, 4 full and 2 half baths on 1.45 acres. Originally priced at $995,000, bidding to commence at $325,000. 4,700 square feet, 5 bedrooms, 5 full and 1 half bath on 6.3 acres. Originally priced at $675,000, bidding to commence at $275,000. 3,800 square feet, 4 bedrooms, 3 full and 1 half bath on 5.23 acres. Originally priced at $575,000, offered with a published price of $235,000. Leading up to the real estate auction on June 20 at 11:00 a.m., there will be three open house inspection dates in June 2018. The auction will take place at the Holiday Inn, 6001 Rockside Road, Independence, OH 44131, and registration for the auction will begin at 10:00 a.m. that day. To bid at auction, all buyers must bring a cashier’s or certified check of between $20,000 and $40,000 made payable to Barristers of Ohio, located at 6000 Parkland Blvd., 2nd floor, Cleveland, OH 44124, Attn. : Lisa Serre, telephone: 216-986-7625. The scheduled closing date for the transactions is projected for July 25, 2018. For more information, please call Mike Berland at Chartwell Real Estate Auctions at 216-839-2032. 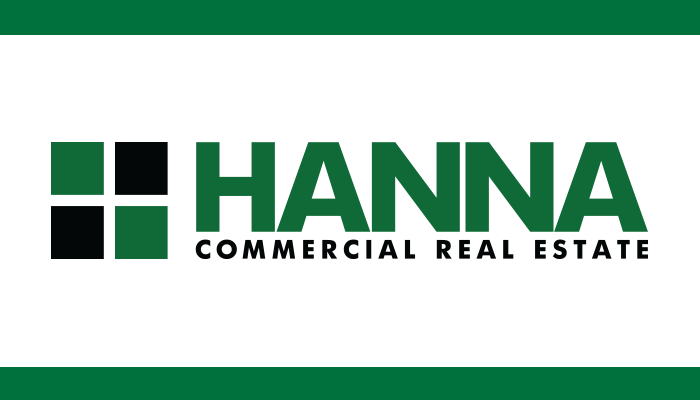 Hanna Commercial Real Estate is a full-service real estate company with offices in New York, Ohio, Pennsylvania and Michigan. For over 75 years, they have been a leader in the commercial property marketplace, successfully providing clients with creative and comprehensive real estate solutions. Hanna CRE specializes in real estate consulting; industrial; office; retail sales & leasing; corporate services; property & asset management; investment sales; land brokerage; tenant representation; build-to-suit representation; accelerated marketing (auctions); project management; and property valuation.